This article was originally published on 2017-12-08. Update 2 on 2017-12-13: GIFTO at last decided to adjust the conversion rate to 1 ether = 7,000 GTO tokens, keeping the crowdsale size to $10 million. Therefore, we are changing the short-term view back to positive. Update 1 on 2017-12-13: Despite the massive run up in ether price from $430 to $700, GIFTO decided not to change the conversion rate and peg the rate to 1 ether = $430. As a result, the market cap of the project will be significantly higher than the proposed $30 million. We originally had a positive/positive view for short- and long-term holding. We have revised it to neutral/positive. GIFTO is a protocol that allows the creation and customization of virtual gifts for content creators. Virtual gifts can be purchased using GTO tokens, which are sent by viewers/fans to content creators on all of the major social networks including Facebook, Instagram, and Youtube. Asia Innovations Group (AIG), the company behind GIFTO, has been building a live stream content creation platform, Uplive, for the past two years. Uplive will be the first application that utilizes the GIFTO protocol. Virtual smart gift: the use of smart contract allows the virtual gifts to be customized, with unique attributes including whether the gift is limited edition, combinable, tradable, interactive, randomly generated, and so on. Gift store: fans can buy gifts for content creators. Gift inventory: holds gifts for a user who can be either a fan or a content creator. GTO tokens: used to buy/sell virtual gifts. GIFTO wallet: holds GTOto tokens for users. Gift portal: management system for gifts to be created, curated, and managed by GIFTO contributors. Uplive was launched in June 2016 and now has an existing user base of 20 million users and 60,000 creators. According to the white paper, as of August 2017, the 60,000 content creators on the platform are receiving over $10 million per month of gross revenue from millions of users across over 50 countries. On their website, you can see that there are many broadcasters with over 1,000 live viewers, indicating that the app has heavy usage. The chart below shows the app’s ranking in iOS for different countries. Uplive is the most popular in Taiwan, ranked as #9 social networking app on iOS. 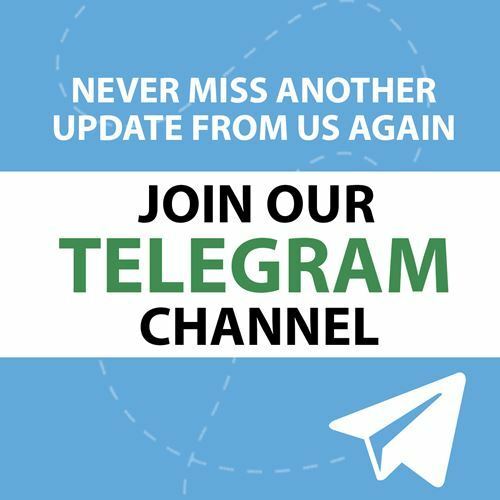 January 2018 – Alpha version of GIFTO Protocol. Q1 2018 – Beta version to commence testing. Q3 2018 – Commercial version 1 of GIFTO Protocol to launch. According to the company’s estimate, 30% of Uplive’s transactions should be migrated to the GIFTO protocol by the end of 2018; 70% by the end of 2019. Incentivizing the community: Participants can earn GTO Tokens by performing a service in the ecosystem, for example, creating a virtual gift or curating virtual gifts. As the supply of GTO tokens to is set to be one billion and will not increase, the more activities and transactions the GIFTO protocol has, the more valuable GTO tokens should become. AIG is a mobile interactive entertainment company based in Asia with over 300 employees in 8 offices – Beijing, Hong Kong, Seoul, Taipei, Kuala Lumpur, Ho Chi Minh City, Cairo, and Casablanca. According to Crunchbase, it has received 4 rounds of funding. Investors of AIG include Pantera Capital, KPCB, Index Ventures, Wicklow Capital, Ventech, White Star, and MSA. Its products include PengPeng, a gamified social chat app in Asia with over 40 million downloads, Superfans, an app that allows fans to follow their idols’ social media activities with over 10 million users, Uplive, among others. Andy Tian, CEO – Group CEO of Asia Innovations Group, former General Manager of Zynga China. Co-founded a social app company in 2008, which was sold to Zynga in 2010 to become Zynga China. Worked in Google China and responsible for introducing Android to China in 2006. Graduated from MIT with Bachelor’s and Master’s degree in Computer Science. Charles Thach, Chief Crypto Officer – Previously worked as Director of Societe Generale, and Analyst and Jefferies. MBA from HEC Paris. William H. Nguyen, Ph.D., Chief Crypto Architect – Serial entrepreneur, founded EdooPAD, a distance learning platform, Universal Technology Group, information service provider, and Vietica, a search engine specialized in Vietnamese. Daniel Yeh, CEO of Taiwan – founder of MimiCam, Pillar-Ezmobo.com, co-founder of Mimisoft.com, General Manager of Mtel Taiwan. MimiCam is an award-winning app which topped the charts in both iOS Apps Store and Google Play. Advisors of the project include Bo Shen, General Partner of Fenbushi Capital, Loi Luu, CEO of Kyber Network (which also has a partnership with GIFTO), Danny Yang, CEO of Blockseer, Chris Miess, former CFO of TenX, and more. GIFTO is the first Binance Launchpad project whereby Binance provides crowdsale services that ensures safety, fairness, and transparency. Therefore, it has passed the due diligence of Binance and should be able to list on the exchange soon after tokens are tradable. GTO tokens will have adoption quickly by leveraging the Uplive platform. The project has a strong team with proven track record in relevant industry. AIG has received multiple rounds of funding from institutional investors, meaning that the company has passed the scrutiny of those professional investors. Virtual gifts can be integrated with apps outside of Uplive, such as Facebook, YouTube, and Instagram. This can dramatically expand the usage of GTO tokens. The white paper is detailed and explains clearly the GIFTO protocol and Uplive. This shows the thoughts that the team has put into the GIFTO protocol and that the token model makes sense. Other giant tech companies such as YouTube also allow viewers to pay content creators during live stream, so GIFTO will in a way compete with those companies. Only 30% of the tokens are being sold to ICO participants, with another 30% of the tokens being used to power the GIFTO ecosystem. Therefore, the project will have moderate inflation in the years going forward. Good. With only $10 million remaining for the ICO and the high market awareness, the project should be able to sell out with unmet demand. Presale investors received up to 10% bonus which is reasonable. Good. Uplive has proved that there is a large demand in multiple countries for its virtual gifts. The transition to GTO tokens makes sense and would improve the business model. We believe the project has a high chance of success with large potential.